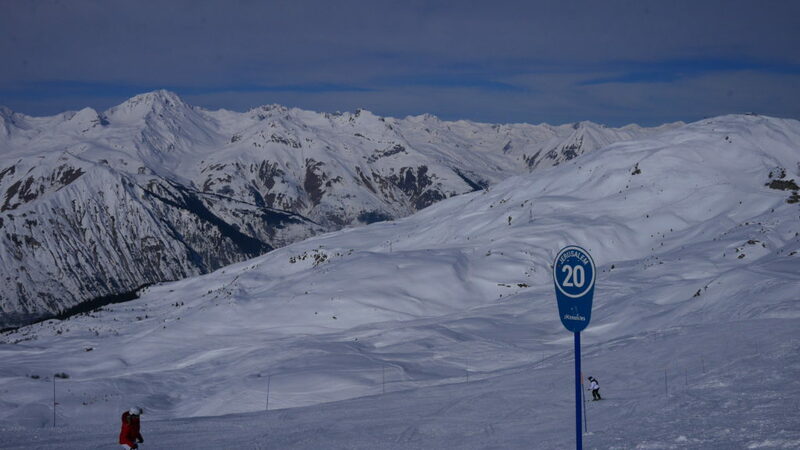 There are 321 pistes in the 3 Valleys, so choosing which runs to do can be a bit of a headache without a guide. 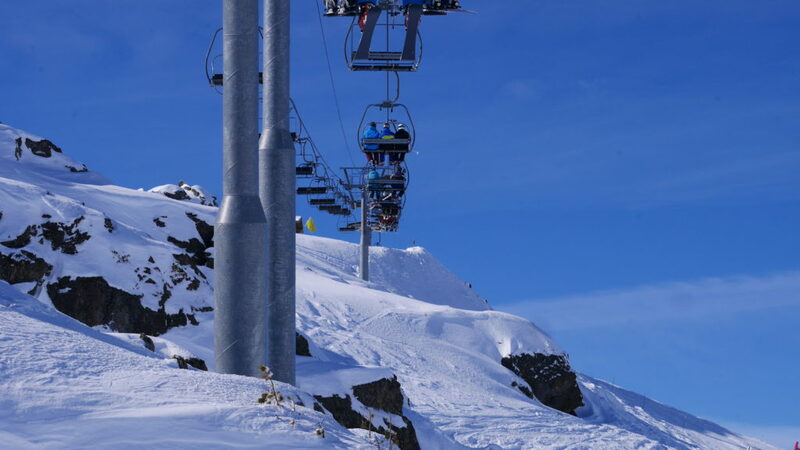 To help we have compiled a quick guide of pistes that have been recommended and are well worth trying out next time you are skiing in Meribel, Val Thorens or Courchevel. All these runs have been recommended by regular skiers to the area and tested by us. The Loze runs from the top of the chairlift of the same name. The lift starts and the run ends in the Altiport area of Meribel and starts where La Tania and Meribel meet. The piste zigzags it way down the mountain and after several hairpins, you will find yourself in the trees before an exhilarating flatline to the bottom of the lift. Keep your eyes peeled on the run for dragons, hammocks and activities. It definitely ranks among the more challenging blue runs in the area. You maybe forgiven for giving this run a miss. On paper, it looks like an essential run to use if you are staying in La Tania and need to get back to your accommodation. However, we would say that this a must to do run as it is so much fun. It is a fast run through the trees ending in the middle of La Tania. It is also a great run if it is a whiteout. If your there at the right time grab some lunch and catch some rays outside the Ski Lodge. The Gelinotte is wide and underused run that starts midway up the side of the Valley at the top of the Roc de Fer chair and comes directly back into the Chaudanne area of Meribel. A great run for beginners who aren’t looking to stray too far from the centre of town. The downside to this piste is that the chair that serves the run is pretty slow, however, you do get a great view of the Stade de Slalom. You can extend the run by catching a second lift, (Olympic) to the top of the mountain and enjoying the Choucas piste directly to the top of the Gelinotte. This legendary run has recently been reclassified as a blue run but it is still truly epic. It runs from the top of the Meribel/Saint-Martin link down into Saint-Martin-de-Belleville. From the long wide corners to the fast straight sections and the incredibly fun rollers that appear throughout, this is one of the best runs in the area. No trip to the area is complete without a hoon down this run. This is on many people’s list of top runs in the 3 Valleys and for a very good reason. It is a thoroughly enjoyable run. 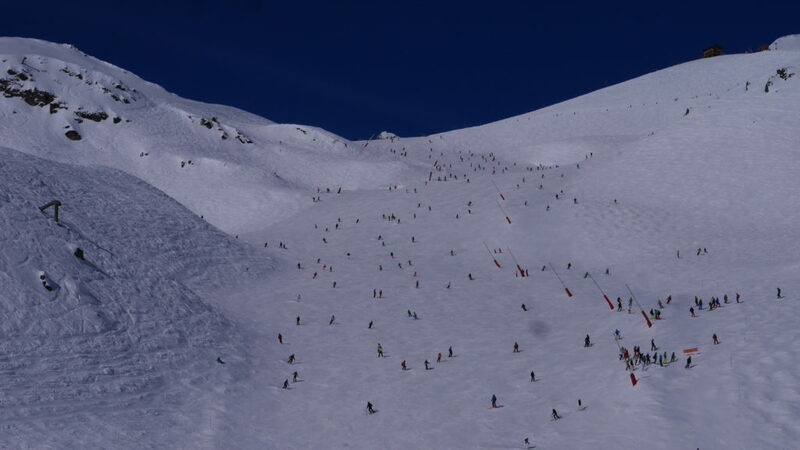 The start is quite challenging for a blue run and it is often quite crowded but there is plenty of space and it is easy to pick your line. As you get towards the bottom of the first section the crowds seem to disappear and you can start to pick up more speed as you go under the Creux Noir char down into the valley that divides the Courchevel ski areas up. There is a fun compression before you pass the Chanrossa lift station and once you have passed that you can put in big carving turns all the way down the Aguille du Fruit chair. To listen to a podcast that features all this runs click on the box below or follow the link to iTunes. This runs down the face of the Saulire mountain underneath the Courchevel gondola and it is an incredible run. It is one of the fastest and widest runs in the 3 Valleys. 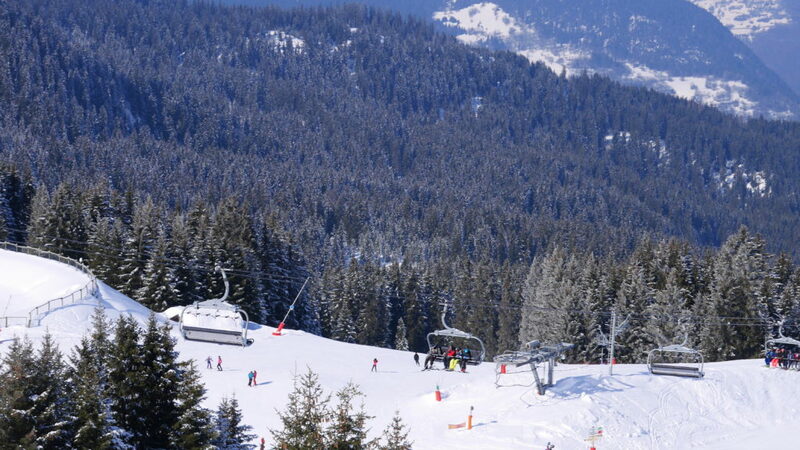 Due to its location, it is heavily used, especially in the afternoon as it is the easiest way back to Courchevel. For that reason, we recommend putting it at the beginning of your ski day while it is still groomed. As you speed down this run take some time to enjoy the magnificent couloirs to your left and the stunning view of the valley and Mt Blanc in the distance. If you’re staying in Meribel you must head up Mt Vallon. Firstly the vistas of the Vanoise National Park are incredible. But primarily the runs down, Combe du Vallon and Campagnol are fun and challenging. 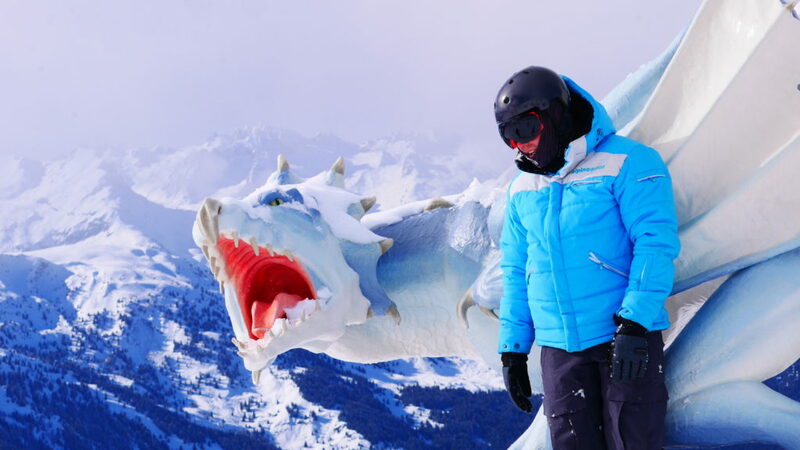 Due to the location, they also make you feel like your actually skiing down a mountain. 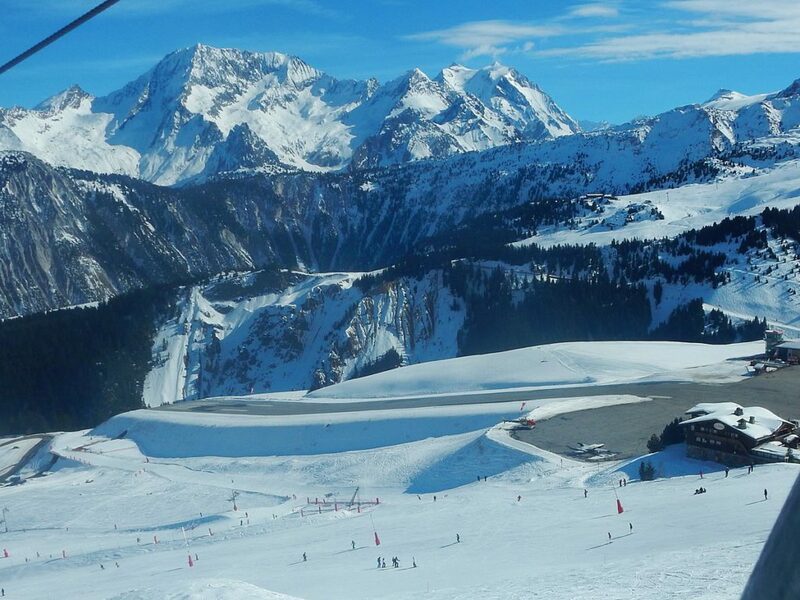 A secret little black run that glides past the Courchevel Altiport down into the Valley. We like this run as very few people use it and there are some interesting features as you drop down past the tree line. It is a challenge, but isn’t too long and makes a great place for skiers who are looking to build up their confidence on a black run that is not very busy. This is a monster of a black run and runs from the top of the Vizelle bubble to the bottom. There are multiple routes to take down but try and stick to M.
The run is fairly steep all the way down and will work you hard, especially if it hasn’t been maintained regularly. The challenge is rewarded by a big wide exit at the base of the run right by the cable car so you are ready to do it again. 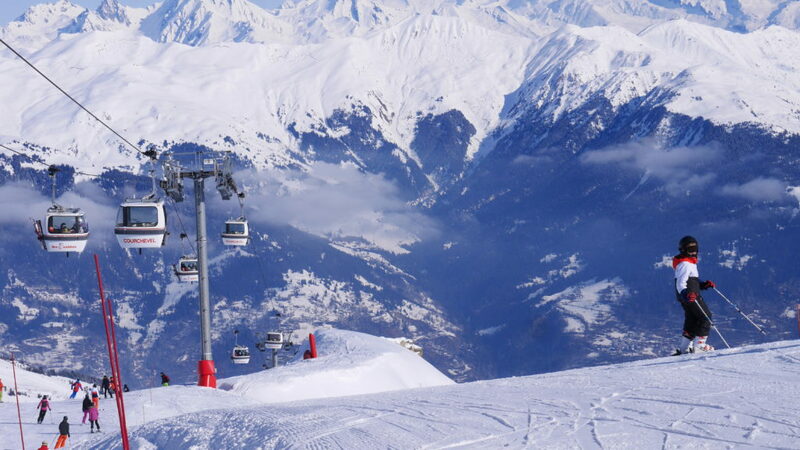 To get to this black run you take the Creux Noir chair. 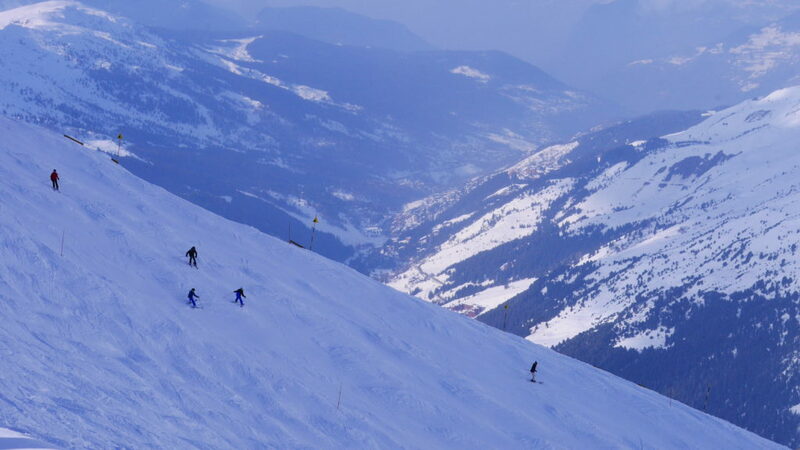 At the top there are some stunning views and a choice of runs down, the red called Creux Noir will take you down to Meribel or you can take the Rocher Grises that splits into a red and black. If you like MPV size moguls then this is the run for you. If you are an intermediate you will look down and feel overwhelmed, a little scared and ultimately pretty pleased with yourself. Advanced skiers will relish the challenge that this steep run offers. Due to the location of the run, the snow is generally in good condition which allows you to really dig your edges in when needed. It is worth mentioning that this is one of the areas guaranteed powder areas… which means that it is left ungroomed after fresh snow. Another piste that is dismissed as a just a home run. Jockeys starts at the top of the Foret chair and winds its way back down to the station of Le Praz, home to the Olympic ski jump. The run is left ungroomed after a snowfall and maintained for the rest of the time. During periods of low snowfall, the run can be a bit icey. However, when the run is in top condition it is fast and a lot of fun. 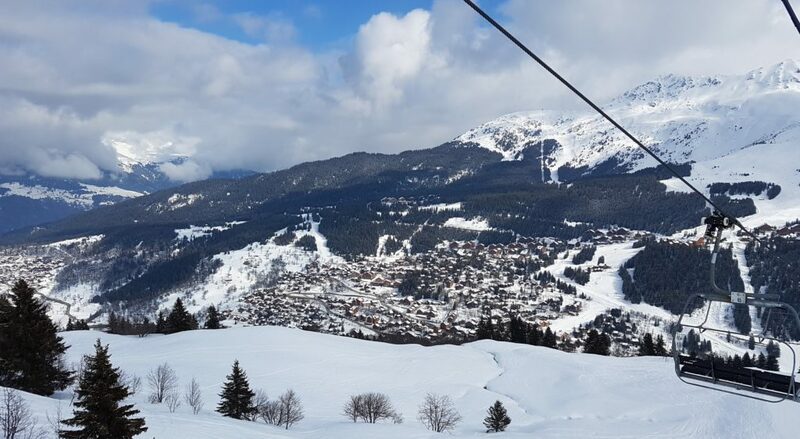 If you want a base to explore the Three Valleys and these recommended runs our catered chalets in Meribel and La Tania are located perfectly. 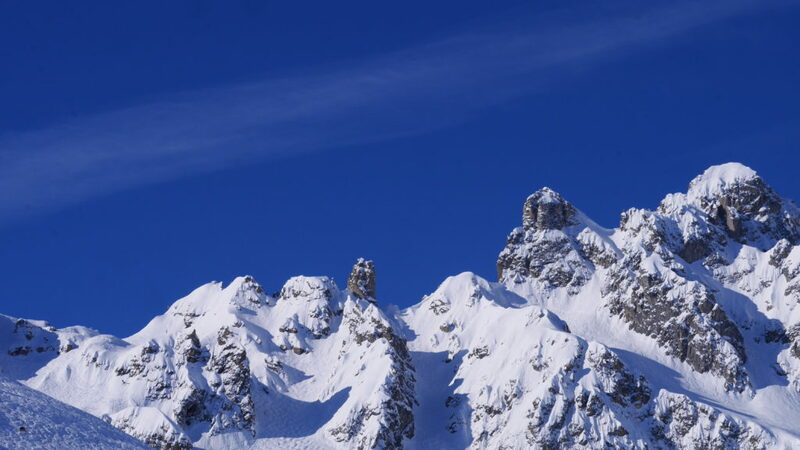 Find out more about our holidays to Méribel or La Tania. If you would like to chat about holidays to Méribel or La Tania please get in touch via one of the methods on our contact page. Our Guide to getting around by bus in Méribel.